Everyone loves a good drag-n-drop. 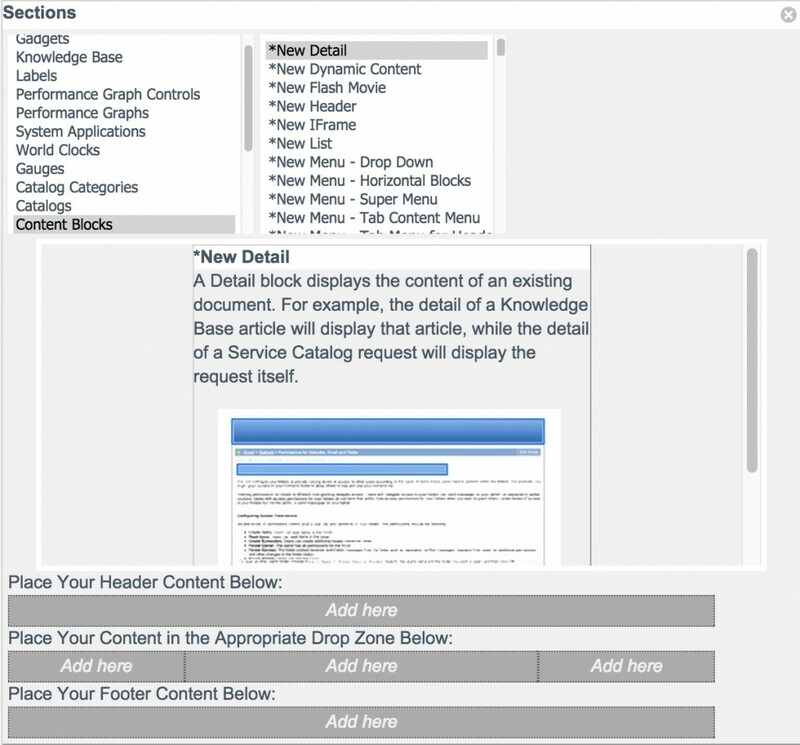 ServiceNow comes baked with a concept within layouts on pages called drop zones. The idea is that you can define an area on a page where new content can be added and then visually move that content around. Wish a certain block was above another? Not an issue, just edit the page and click-drag-move the block to the upper position within that drop zone. It’s best to utilize drop zones for content that you want to be unique to each page. For instance, a footer is not an ideal candidate to be added to a drop zone area. The reason is that you have to physically add it to each page. As an alternative I would include the footer within the actual layout. When someone loads the page to edit it, they will see the footer but can’t edit it or move it. Now with that layout in place, you can create a new page with that layout assigned, plug in your theme, add your content and you’re ready to have some drop zone fun. Any questions? Feel free to let me know below.